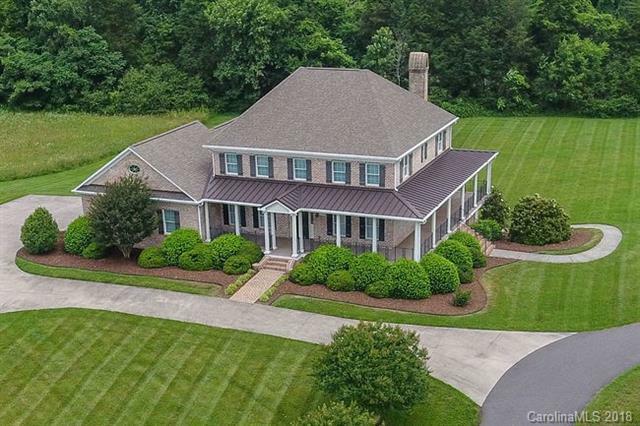 Custom Brick built home on 138 acres.Southern Living design includes 2-car extra deep garage, MBR on main level,Formals,Screened-in porch off MBR, Trex decking Deck Wrap-around porch,jack & jill plan upstairs X2,Coffee bar,Wet Bar,Butler's pantry, Dog sink,main level laundry,& Keeping room.Basement roughed in w/stud walls &fireplace.Features include:central vac,wine refrigerator,double ovens,Granite counters, higher ceilings,SS appliances,Anderson windows,closet systems,Whirpool tub,2 HVAC systems, Int. walls insulated for sound,leafguard gutters,ROOM to install an ELEVATOR in the future,additional stackable washer/dryer upstairs,2 dishwashers.Gorgeous Asphalt driveway lined w/ trees,& the open,LEVEL land is pasture w/several fenced areas.ROOM BEHIND HOME FOR A POOL!3 ponds & some running streams.Huge 204X42 open barn for multiple uses. A 3 BR,2 BAmanufactured home on property=additional residence or caretaker's home.Lots of open land for pasture or crop production.2parcels incl.